Ischinger, F, Anthonissen, M, & Koren, B. (2016). 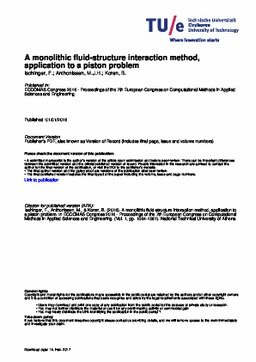 A monolithic fluid-structure interaction method, application to a piston problem. In Proceedings of ECCOMAS Computational Fluid Dynamics Conference 2016.